Yes, Interbike happened and no I wasn’t there. 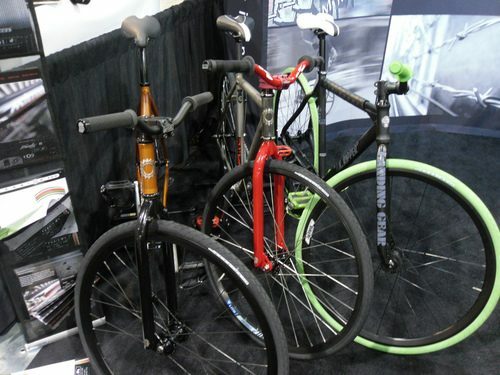 If you missed all the coverage, check out Urban Velo for the in-depth features they always seem to deliver on the tradeshow. Last year, I could barely hold my camera straight. Being in Vegas, surrounded by 24/7 booze always seems to put a damper on my productivity. Big ups to the Urban Velo guys for being collected enough to put out such great reviews! INTERBIKE 09′ VEGAS SUCKAS from chris clappe on Vimeo. and here’s a video from Chris Clappe I spotted over at Zlog.